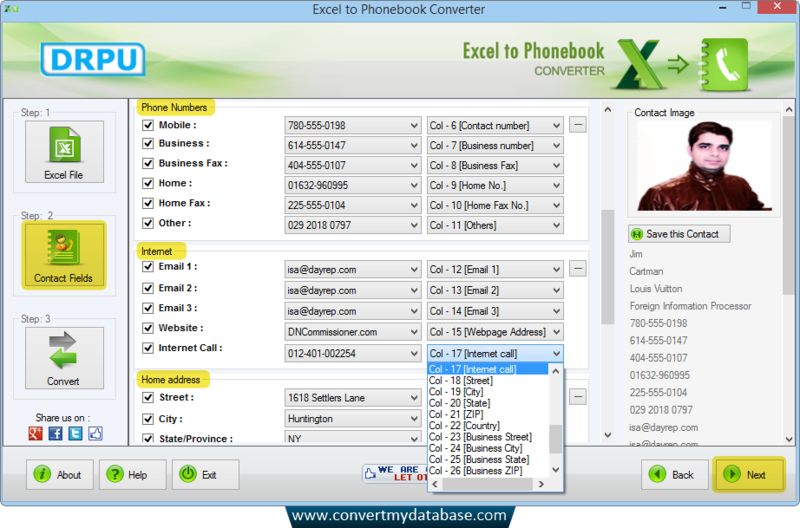 Select various contact fields of your excel file such as Name, Phone Numbers, Address, Emails etc. 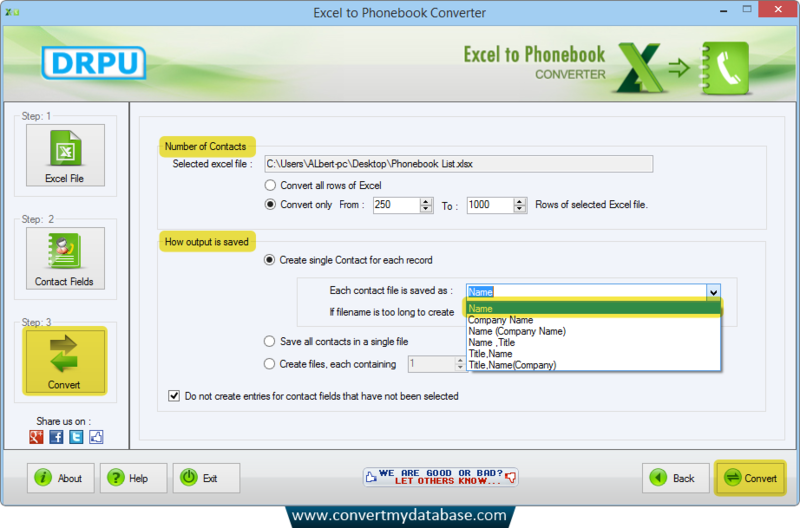 Select Number of Contacts, How output is saved, and click 'Convert' button. 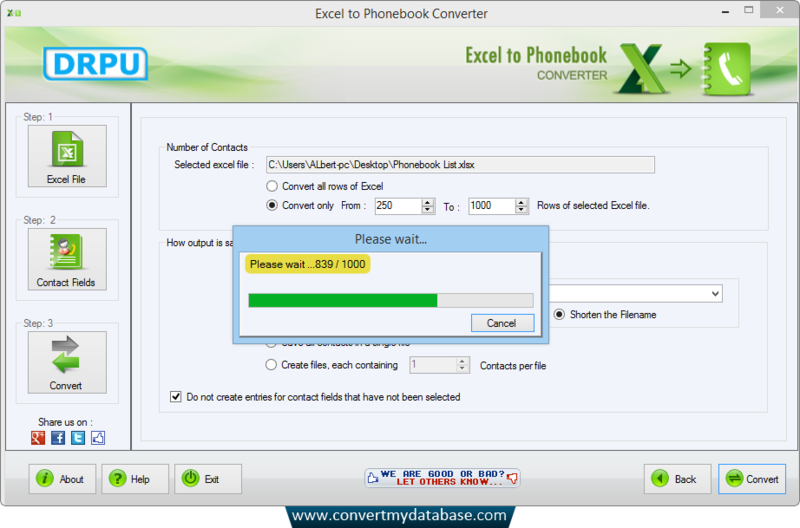 View current status of conversion process.